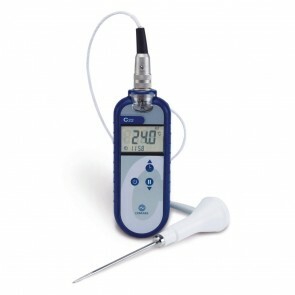 A range of thermometer kits aimed at professional caterers, food manufacturers and auditors. 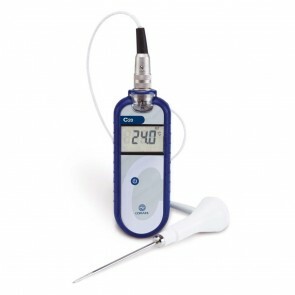 Within our catering thermometer kit section we offer a number of food thermometers that are suitable for professional and catering applications. 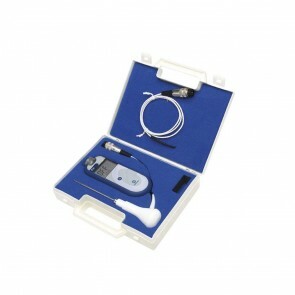 These kits, all of which provide excellent value for money and include both the instrument and the compatible probes. 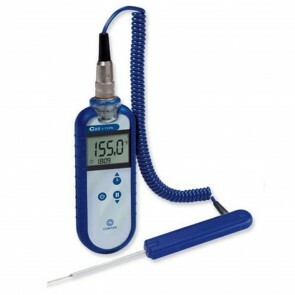 Catering kits are popular with proprietors of cafes, restaurants and pubs whilst Cold Storage Monitoring Kits provide a cost effective and comprehensive solution for keeping a check on temperature sensitive foods and other commodities. 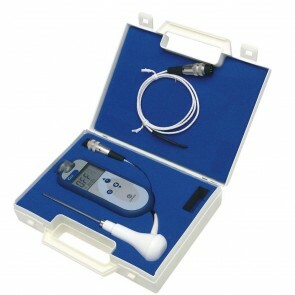 Generally, this range of kits is designed to provide specific the equipment needed for a range of professional applications, which should take the guesswork out of what can sometimes seem like a bewildering choice of thermometers and probes. 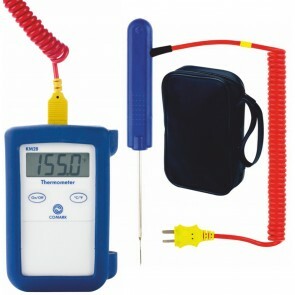 Our Catering Thermometer Kits include high quality thermometers combined with two or more probes designed with a specific purpose in mind. 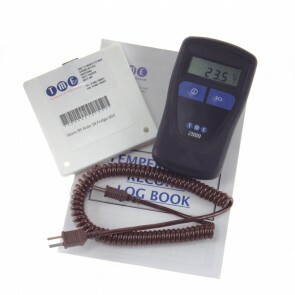 The kits, for the most part are supplied with hard shell plastic carry cases, specifically designed for the purpose, and are often combined with other accessories such as probe wipes, and temperature monitoring log books. 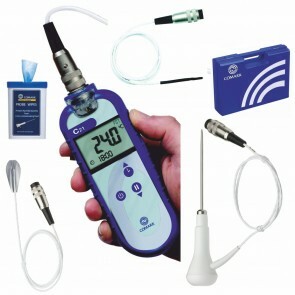 Buying these instruments in kit form often results in substantial savings when compared with purchasing the individual components. In summary these kits are designed for use by professionals working within catering or associated industries to fulfil a range of specific tasks, reliably and accurately.